Most people believe the best way to forget someone is to throw them down a well. Or lock them in a room with eight keys, or bury them at a crossroad in the thirteenth hour. But they’re wrong. The best way to forget someone is for them never to have existed in the first place. When Tuesday wakes from sleep for the first time at sixteen, she opens her eyes to a world filled with wonder – and peril. Left with only a letter from the person she once was, Tuesday sets out to discover her past with the help of her charming and self-serving guide, Quintalion. 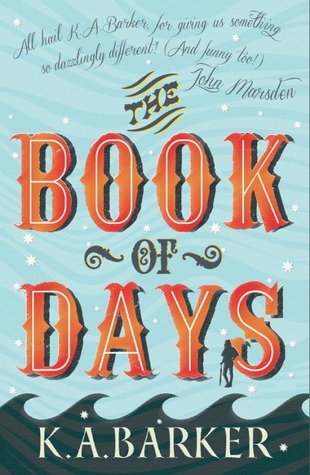 The Book of Days was amazing! I just finished it up tonight while I had some spare time, and I've been sucked into it for an hour or so. When I was reading it, my imagination was just running wild with each character, and I want more. It's so different from anything that I've ever read before, and I definitely recommend for any young adult, and anyone who is looking for a story that will leave you wanting more with each chapter. Tuesday is a new favorite character of mine, and I only wish it had a few more chapters, or maybe a sequel.